ORLANDO – Tyler Wilkins of Crossman & Company, one of the largest retail leasing, management and investment sales firms in the Southeast, recently negotiated a long-term lease at Cornerstone at Lake Mary and brought the 63,924 square foot shopping center to 100 percent occupancy. Wilkins represented the Orlando-based landlord Cornerstone at Lake Mary, LTD in the transaction. Florida Autism Center is the new tenant who leased the 3,324 square foot outparcel building at the center located off of H.E. Thomas Parkway on Rinehart Road in Lake Mary. Tallahassee-based Florida Autism Center serves children with a variety of development disabilities and currently has five locations throughout central and north Florida. 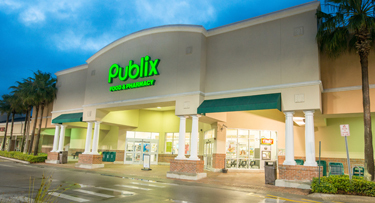 Other major tenants at the Publix-anchored shopping center include Leslie’s Pools, Jersey Mikes and Giovanni’s Italian Restaurant & Pizzeria.